SPRINGFIELD, Ill. — H.D. Smith has rolled out VentureRx, a program to aid in the launch, sale or expansion of a pharmacy business. The pharmaceutical wholesaler said Friday that VentureRx is designed to initiate and fully support the start-up, purchase, sale and related transition strategies of an independent or regional chain pharmacy. For owners looking to sell their pharmacy, VentureRx provides a free estimate of the value of their pharmacy business, buyer matching and succession planning. Those wanting to buy a pharmacy or expand an existing one can get a free consultation, research a portfolio of pharmacies for sale, examine financing options, and receive purchasing guidance and assistance. Pharmacy start-ups can get assistance in branding and marketing, digital marketing, market research, implementing a loyalty proram, store layout and design, merchandising, pricing, front-end marketing, opening inventory, patient care and managed care. “Recognizing the amount of pharmacies closing or selling to large chains, H.D. 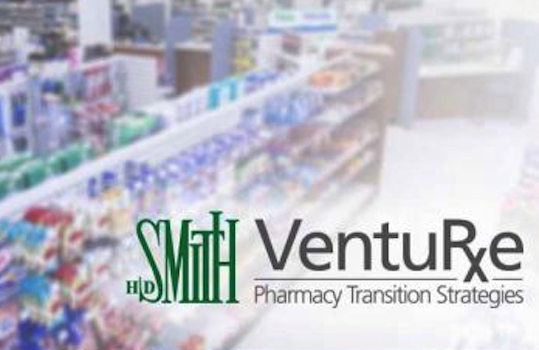 Smith developed VentureRx to support its largest customer base-community pharmacies,” Chris Smith, president and chief executive officer of H.D. Smith, said in a statement. “However, VentureRx is here to serve independents, small chains, long-term care facilities, as well as specialty or compounding pharmacies. “For more than 60 years, we’ve been focused on serving community pharmacies, and this program is another way we are aligning with our independent customers and supporting their success,” Smith added. Pharmacy owners seeking assistance can also leverage H.D. Smith’s expertise in store branding, marketing, merchandising, managed care and front-of-store designs and programs to build a stronger foundation for their business, the distributor said. Through its wholesale business unit, H.D. Smith provides a full line of prescription, health, beauty and wellness, and home health care products, plus a range of business solutions for retail pharmacies, institutions and health systems. Its specialty solutions unit provides specialty distribution, specialized third-party logistics and clinical trial procurement services, along with solutions to foster patient access and medication adherence. The company also operates Smith Medical Partners, Triplefin and Valley Wholesale Drug.